It’s fitting that the March for Science shared the spotlight with Earth Day. During the slow march down Constitution Avenue, I saw several signs sticking out from the crowd reminding the world that there is no Planet B, no other options. It was also fitting that the day in Washington, D.C. was cloudy and soggy, paralleling the concern millions around the world have for the future of science and its role in our society. My wife and I, along with friends, took the MARC train from Baltimore down into D.C. We were encouraged to see so many others commuting with us, and so early in the morning. The rain didn’t suppress our spirits and the excitement in the air was palpable. It took the conductor almost the entire duration of the ride to finally make his way into our car to collect our tickets. We poured out into Union Station with hundreds of others and walked towards the Washington Monument. On the way, I caught more glimpses of the enthusiasm and support science can and should always enjoy. The diversity of the crowd, including the languages I heard to the age range of people I saw, from newborn to the elderly, proved that the march’s message resonated with those from all walks of life. My group was no different. There was me, a human geneticist; my wife, a neuroscience graduate student; a dentist; a speech therapist; a chemical engineer; a Middle Ages historian; and a recent retiree from public service in the Department of Education. Other groups of friends and families joined with us as we walked down the National Mall and already we could hear chants of ‘Science After Peer Review’ echoing off the Smithsonian museums. I’ll admit, I wondered if the rest of the world, particularly those who control such things as funding and informed policy, also heard their voices. Before the march itself, we ducked into a pub to warm up and dry off, and every chair inside was filled with someone else doing the same thing. We were joined by more friends – students studying infectious disease and traumatic brain injury, a programs coordinator for a cystic fibrosis non-profit, and a bacteriologist working to prevent the next superbug. Inside the restaurant, I heard engaging conversations by people sharing lessons learned in the lab, trials and failures of their most recent experiment, or how long it would take to hear back about the latest grant applications. But we also listened to families and individuals from outside of the laboratory, individuals who supported the movement of the march and wanted to come make a difference. I think it’s their voices that matter the most. They went home that day, outside of the research community bubble, and shared their experiences with their own community. It’s their voices that will be the most powerful moving forward. I admit I had goosebumps every time a fresh roar of the crowd emanated from somewhere in front of us and rolled down the street through us like the wave at Camden Yards or Nationals Park. Unlike the march, the train ride back to Baltimore was quiet. Everyone, including myself, was worn out. I spent time thinking about the impact the day may have had. For me, although the march answered the question of who still supports science, it left me with even more questions. What happens next? How did we get to the point where a march was even necessary? And what can we do, can we learn from this? Thankfully, there is some light at the end of the tunnel. As I write this, Congress has announced an additional $2 billion for the NIH this year in the new budget. To me, it sounds like some people heard those voices on Constitution Ave on Earth Day. Now it’s our job to put that momentum and funding to good use. Douglas F. Dluzen, PhD, is a postdoctoral research fellow and a member of ASHG’s Training & Development Committee. 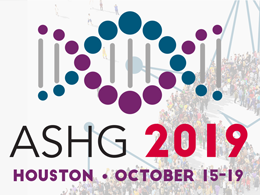 Learn more about ASHG’s programs for trainees.